How does a small digital marketing agency compete for top employees against big firms in such a competitive environment like the Bay Area? For Richard Bumgarner and Lyn Rundell, founders of Hero Marketing, the secret has been providing a great place to work, simply put. And that doesn’t mean a foosball table in the break room. Rather, they focus on providing true work/life balance, giving many employees the chance to work from home, and benefits the right employees prefer to higher pay. 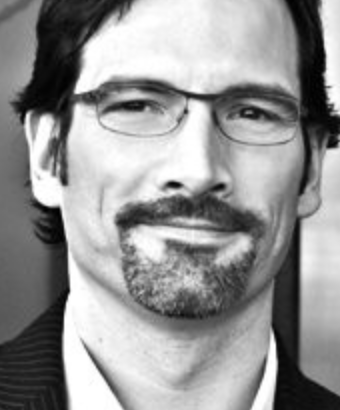 Steffen Horst: Welcome to the Performance Delivered, insider secrets for digital marketing success, podcast. Where we talk with marketing and agency executives, and learn about how they build successful businesses and their personal brand. I am your host, Steffen Horst. Today, I’ve got not only one, but two guests on the show. I’m joined by Lyn Rundell and Richard Bumgarner. They are the founders of HERO Marketing, an integrated marketing and advertising services agency, located in San Francisco. Both have over 20 years of business marketing and account management experience, working with companies like Kaiser Permanente, Charles Schwab, Men’s Wearhouse and Intuit, to mention just a few. Lyn and Richard, great to have you on the show. Lyn Rundell: Hi there. Thank you. Thanks for having us. Steffen Horst: Well, you’re welcome. We obviously recently had a chance to work together and support your team. I have to say, I really loved the experience, the strategic thinking and the creative execution of your team. You could really tell that your entire staff, went the extra mile to ensure that the campaign was success. So, Richard, Lyn, tell the listeners, a little bit, about HERO Marketing. Lyn Rundell: HERO is, what we call, an integrative marketing solution agency. We focus on performance media, or measured media. So, anything that we go out and ask for a response, and we can measure our results. Richard and I founded the agency about six and a half years ago, after meeting at another agency where we were both working We decided that we thought, that this was something that we could do pretty well. When we started HERO we really went at it from the perspective of, what kind of an agency didn’t we want? We were thinking about our brand, you know, you do the whole branding exercise and we really were thinking about the places we’d worked, and situations that we didn’t love. So, then we went the opposite way, as we thought about building the agency and what kind of clients we wanted to bring on, and what kind of operational philosophies we wanted to have. It was an interesting approach because we’re often reminded, when we’re doing a pitch or we’re meeting with prospective clients, to think about that, and think, do they really fit the kind of agency we want to have, and the work environment we want to have for our employees? It’s one of those things where people talk about a work life balance, and it can be really difficult in the agency world, where you’re driven by client deadlines and you’ve got to work on their schedule. We’ve been able to be pretty good about recognizing that, people want to sign up and in the evening, they want to spend time with their families, they don’t want to work every weekend, and that’s really driven us forward. Steffen Horst: A lot of what you just said resonates with me, because that’s what we do here at Symphonic Digital too, in regards to work environment, work life balance. In the beginning you said, you wanted to be different then the agencies that are out there. So, how are you different, when it comes to the topic around work environment and work life balance? 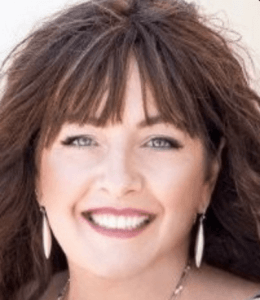 Lyn Rundell: One of the things that we’ve done from the beginning, is allowed for more work from home, or work anywhere options, that I think many agencies do. We have always had, at a minimum, one to two work from home days, including Mondays. Monday’s have been a consistent of that, and our belief was, everybody enjoys their weekends a lot more, if Sunday night, at five or six o’clock, they don’t begin the weekly dread of thinking, “Oh boy, tomorrow’s Monday and I’ve got to get back into the groove and think about work.” So, allowing them to work from home, or wherever they’d like on Monday. Also allows them to maybe extend a longer weekend and they worked at a cabin, or their beach house, or wherever they might be. It also means that you don’t have to get up at five or six in the morning, to get on a BART, and get to the office. That’s been a part of it, it’s also something that we now have carried further forward as we’ve gone back to being a dispersed workforce agency. At this point, we gave up our great big fancy office on Market Street, in San Francisco and we rented a smaller co-telling or work space site downtown, and employees get to decide if they want to go in there and work, or if they’d rather work at home, or at a local coffee house or, if their mom comes for a visit, whatever it might be, and we very rarely require people to come in. It’s based on client need and workload, so that’s part of it. We also recognized earlier, as a smaller agency, that we’d have a hard time competing with all the amazing perks and benefits and pay that you find in the Bay area. So, what we’ve done is, we’ve worked hard to give our employees what I call “softer benefits”, and that includes, in the first year they get about six weeks of combined PTO and paid holidays. Then, that goes up the longer they stay with us. So, significantly more PTO and paid holidays then you find at a lot of agencies our size. We look for those sorts of opportunities, we have medical and dental. We, a few years ago, added a 41K with an immediate match and things that we felt we could do. 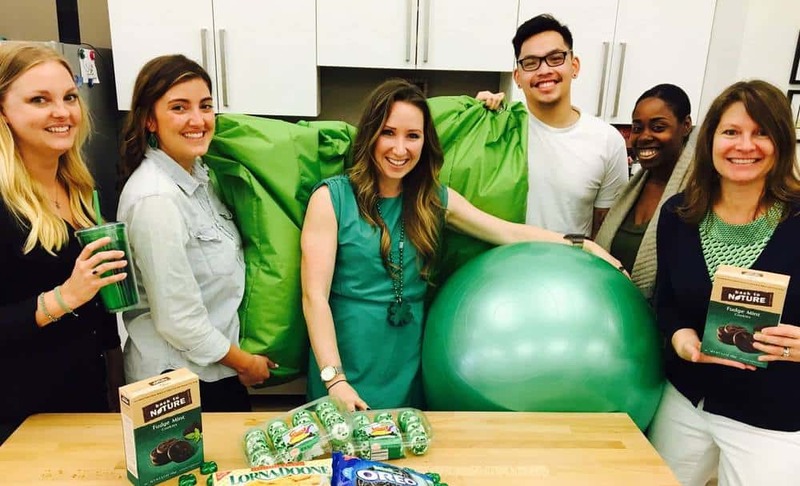 Where, maybe, we don’t have foosball tables and free food every day, and somethings and other things, that you find in the Bay area, but we do offer benefits that go back to a happier life, a happier employee. Steffen Horst: That’s interesting. I would think that when you have people work remote, and it’s probably what people are saying that are listening to the podcast, they will say, “But how do you control quality? How do you control, that the people that work for you, actually are doing the job and that they’re doing a job right?” How would you respond to them? Richard Bumgarner: Well, I would say that, it of course starts with a hirer, so we have a pretty rigorous screening process and really trying to find those folks, who are very self-motivated, who have proven themselves with their track record, and their experience. There are easy little check ins, we do weekly video chats, we get together on screen a couple of times a week, go through all the jobs, make sure everyone is clear about what they are doing. Of course, keeping IM on all day, and without a tool like Basecamp Project Management, it would be much more of a challenge, but that really keeps us all on track and all on the same page. I think that ultimately, it comes back to finding folks who are really self-motivated and that you can trust. Lyn Rundell: I was just going to add to that, that I think when you’re interviewing, you keep that in mind. You think of it as almost a philosophy of work, being something you do, and not a place you go, and you look for the candidates who understand that. Again, as Richard said, when we’re hiring, we look for things like, how self-motivated have they proven themselves to be. For example, did they work a couple of jobs and put themselves through college? Are they the kind of person that will do whatever it takes to meet their personal goals? And usually when you find somebody, who has historically shown that kind of a drive, it’s just ingrained in them, it’s their work ethic and it doesn’t go away. Steffen Horst: Okay. Where you do you find those people? How do you go about identifying them? Do you use the likes of Indeed, ZipRecruiter or other platforms do you go after? Network referrals, that say, “You should talk to that person.” How do you identify the people that you bring on board? Lyn Rundell: Right. It’s certainly a challenge and it may be a bigger challenge for us than other listeners, because the barrier is brutal but we definitely rely on referrals, that’s always our number one choice. When we recognize a need, we’ll all put it out there, to our network. We’ll talk to people, we’ll talk to current employees, that’s always the first choice, because a good person, usually refers a good person. That’ll be our first step. Again, in the Bay area, depending on the level of the job, Craigslist can be a good source for us, because it tends to attract the kind of folks that we’re looking for. We sometimes use LinkedIn, we sometimes use Indeed, we sometimes use ZipRecruiter, the issue is, there is a lot of noise there and you’ll get candidates, who maybe are more sales people then there are agency, so for, who obviously are not qualified, you just have to weed through it and find the ones that stand out. Depending on the experience level that we’re looking for, in some cases, if we’re looking for a coordinator, or a junior client strategists, we might start with somebody who has been a manager of a local retail shop or a gym, or somewhere, where they’ve had to keep a lot of in the air, and manage schedules, and just thinking about a lot of different details at the same time, because they are coming in at a junior project management type level. Then we can help train them and educate them. Part of our benefits are, a self-directed employee development budget every year, that we encourage all of our employees to use, all of their budget to go to industry events and attend training and webinars and other things. It’s certainly not easy and it can be a long process but … and certainly, we’ve made some mistakes and hired people that just weren’t a good fit and we’ve had to correct that. Right now, we have an amazing team, we’re looking to add someone, and so we’re in the heat of it. We tried to ask screening questions and look for personality traits and responses that will give us some sense of who they are, and whether we think they are that very self-directed person. Richard Bumgarner: I think that, a part of being in the Bay area, has really forced us to look beyond the Bay area. There are so many competitors here, and big companies, and what we’re seeing is, a lot of companies now, of course, are building out their own creative teams and content teams. That whole trend is back on the rise. So, out to necessity, we’ve started to work with people, out of state, which of course has its benefits from a cost perspective. Perhaps a time zone difference gives us a little leg up on the next day. So, it’s been a good experience, reaching beyond the Bay area in many regards, and just expanding the team as the need arises. Steffen Horst: A second ago, you mentioned remote people and that there’s a lot of freedom around the talent, that you have at HERO Marketing. As they work remote, does that also come with lower salaries, for example, because they don’t have to come into the office, or how are salaries for a remote team perspective? Are they still comparative or are you saying that there’s an advantage for you, that you don’t have to drive into the office, an hour each way? Lyn Rundell: Right. Again, I think it depends on the candidate. I do think there is a lot of candidates, especially whom are a little bit older, that see the value in having the time. So, they are willing to take, a little bit, less money or, a little bit, lower salary because they gain back their commute time. They don’t have the costs associated with a commute. They don’t have to necessarily invest as heavily in that professional work wardrobe, because we’re not in the office every day. Not that we can see stuff, super professional work wardrobe, but there are those sorts of things. It’s very much a case by case basis, but I do think age plays a big part in this. I think home lives and whether you have children or not, will make a difference, but some people are going to be in it, just for the most money, they can possibly make, and those are not going to be the best candidates for us, because we’re never going to be, that size company, that’s paying the biggest salary. Steffen Horst: Yeah. When you hire someone, do you identify that, after a while, that they are not who you thought they are? How do you deal with that? How do you approach the situation of first, probably telling the person, “You know what, you need to pick it up a little bit, or the delivery is not good.” How do you approach that? Lyn Rundell: I’m going to say again, it’s very much a case by case basis. I think some people, you recognize are trying and maybe you can coach them through it. I think there’s other people, that early on, you realize that if this is the best they can give me, and we’re in our first 30/60/90 days, I’m not going to coach them out of it. There are different approaches, that are going to work differently, or that we’re going to use, depending on what we see in the person. If it really is just a skill set, and they’re young and we think we can train them and coach them, we absolutely start them on the development program and we’re always honest about, “Here is where we really think you need to pick it up and here’s how we want to work with you.” In other cases, it’s simply a matter of recognizing, they’re just not the right set for whatever reason, culturally, skill wise, they are just never going to get where we need them to be, and then you just have to rip off the Band-Aid, for lack of a better term, it certainly doesn’t help your business and it doesn’t help the person if you keep them on, longer than you should. If it’s not a right fit, it’s not a right fit, and they should go out and find something where ultimately, they’ll be happier and we as business owners, have to find someone who better fits our needs, so to make our clients happier, but also to keep our existing employees feeling like everybody is playing at the same level. Everybody is contributing at the same level. Steffen Horst: What are some of the coaching approaches, you use in order to get them in line, or get them to deliver? Is there anything specific that you’ve applied in the past, that was really successful? Richard Bumgarner: It’s always a case by case basis. I tend to think, that people want to do a really good job for you and getting aligned and expectations is probably the first step. So, we certainly preach and practice being good listeners, you want to have empathy, but at the end of the day, I think that laying out a very clear plan, for reaching the mutual benefit, that’s what’s needed. There’s a big difference in working with a more mature workforce, people who have done this one time, and are really great at just the task at hand. Then we’ve got some younger folk, who need a little more guidance and I think it’s just, if we’re scaling towards the individual, and really trying to work within, whatever that perimeter is. Steffen Horst: I can see how it probably is much easier for a more experienced person, because they’ve seen different situations and they probably … they can adjust easier. How do you train a junior person? Someone that might be fresh into the agency world, or someone that has very little experience? Do you bring them into the office and work with them for a certain period of time, before you release them out into the wild? Lyn Rundell: Oh, yes. Absolutely. Any new hirer for that matter, we always start with some period of time in the office. Simply even for somebody who has been doing their job blindfolded because they’ve got so much experience. Part of it, is culture and getting to know your co-workers and understanding everybody’s work style. We had a gentleman that worked for us a couple of years ago, who lived in Texas, and at that point he was our only truly remote employee. All the rest of us were working from home, part of the time, but he just wasn’t in the office, even on the days when the rest of us were. So, we made the effort to fly him in once a month, sometimes more often for team meetings with the client and/or just internal discussion, ticks offs or brain storming, or whatever it might be, as well as fun stuff, when we get together and go out to lunch, or go bowling, or whatever we might be doing. You absolutely, as a dispersed work force, have to create some kind of a culture. We’re really fortunate right now, that the people that are full time employees, all just happen to live in San Francisco, which has never happened before. We’ve never had everybody in San Francisco, they’ve been throughout the Bay area, but everybody’s in town. So that part of it, is a little bit easier, but as we bring in new people, we absolutely have them come in, and the length of how long we might have them work in the office, with somebody coaching them, and working more one on one with them, will vary, depending on their level of experience. If it’s their first job out of college or they don’t have tons of experience, they’re certainly going to have to work a little bit longer probably with somebody, to get a feel for what the expectations are and how to stay self-motivated, how to create a list or all the different tools that are out there to help you say … self-directed when you’re working from home, and then somebody’s who’s got a little bit more experience, that’s obviously not as necessary, we also bring in a lot of … I hate to use the word, freelance talent, now because in California that’s not really the case but then those that we work with and then other employees, that we have made part time/flexible employees, so that we can work with them and stay within the limitations of California law, around who truly is an employee, and those folks again, may not come into the office. Sometimes we ask them to, if they’re completely out of the area, then that’s at our expense. If they’re in the Bay area, they’ll just BART in, or come to the office for an afternoon or whatever it might be, but we also include them in all of our video chats, we do as Richard mentioned, we have two of those a week, that involve the entire team for status, and then we use that tool as needed throughout the work week. It’s a way to pull people in and make them feel that they are part of it. We also use, currently Hip Chat, which I believe is going away, so that will be changing but we have an IM tool, that we use so that we can all stay very spur of the moment, in touch with each other, and that helps as well. So, you’re not waiting for somebody to respond to email, but that adds a whole other layer of training. Which medium or communication medium makes the most sense for your needs? Do you really want to interrupt somebody to ask them about a meeting that’s in two days? Maybe that’s better to be in the emails, than to be in instant message, and so we try to work with them to understand, which one of those mediums makes the most sense, so we’re not disrupting each other throughout the day. Steffen Horst: What you’ve just said, is actually quite interesting, also from my own experience here. When you bring in freelancers that are not full time, there’s usually a bunch of challenges that come with that. It’s quite hard to get them in line with the company philosophy and culture that you have. They probably work on other projects too because they are only part time with you, which could lead to delays in delivery. How have you overcome this challenges? What other challenges potentially have you discovered and encountered that you had to find a solution for? Richard Bumgarner: Working with freelancer, I think is all about setting expectations out of the gate and often you find out that you have that need under a convex timeline. We keep a stable of folks, that we’ve proven and tested, or they’ve proven themselves and we continue to use them. I think with the first couple of engagements though, it is just about being very straight forward in terms of timing, deliverable needs, next steps, check ins, I do a lot of heavy monitoring on work flow to keep us on track. Again, tools like base camp are indispensable and holding people accountable. I guess we haven’t really had an issue with people not delivering, I think expectations just out of the gate, folks don’t want to disappoint. Lyn Rundell: Sorry. The other thing that I do think is important, that Richard and I have tried to do from the beginning is, only work with people whose business it is to be freelance. We don’t do people, who do it on the side, and have another job, those sorts of things, because in those situations, you are destined to run into more problems. There may be some people out there that are great at that, and understand I have my full time job and I come home tonight and I get to work till this thing gets done, whatever this thing is, but we’ve had greater success trying to work exclusively with people, who have a business, providing back up copy writing, or design work, or back end HTML coding, whatever it might be, because it’s their business. So, they can therefore to be a lot more invested in it, then if it’s a side gig. Then again, nothing against the side gig community, and we’ve had some folks that have been great, but are experiences again. The way we work, and the speed at which we work as a smaller agency, it just makes more sense for us to work with people, who do it as a business. Steffen Horst: Any business that grows, or the other way, that loses a client, and therefore has to make adjustments, is always faced with the situation, “What am I going to do with the talent?” You have to look at whether you can still employee everyone, or you need additional people. How do you guys approach that situation? Lyn Rundell: I’d say, about a year and a half ago, we decided that we wanted to run a little bit leaner and meaner with our full time folk. So, we did have some layoffs and moved to more, what I always now call, The A Team, an amazing group of employees, the best we’ve ever had, who are just very self-directed and very good at what they do. If you didn’t meet that high threshold, then we didn’t pull you forward into this new model. Then we got more serious about back-filling, with the best people we could find, and more and more, as again the philosophy of what work is, and does it really have to be sitting at the same desk every day for eight, or nine, or 10, or 12 hours is changing, and people are looking at it differently. I think we’re coming to the conclusion, that a lot of the time, the very best people don’t want a job sitting at a desk every day. We go out and find the very best people, who are the very best for the current need, and I know a lot of agencies talk about that, but we’ve been putting this in practice for some time now, and we’re getting better work and we’ve got happier people, because the people that are with us, are the key people that we need every day and then we go out and find these other folks to fill the need. As Richard’s said, it’s cut out a little bit of a lead foot in cures but we have a really good bench of folks that we go to now, that we know we can count on, and so we’ve got that in place, and then if something unusual comes up, we’ve been doing this for long enough, and our Managing Director is also been in the Bay area, doing this for a long time. We can put it out to our network, and usually find some really good, well vetted resources to help build, as specific niche need, but we’re just getting better people because folks are changing the way they think about work, and more and more of them, just don’t want that Monday through Friday, sitting at a desk, or more of the really good ones I should say. So we’re able to pull in better work that way, and hopefully that prevents us the way, now that we have this model. This year has been huge for us, and we just hit a Billings milestone, and it’s one of the smallest groups we’ve ever had. It just shows that this model can work, if you’ve got the right soap as your boots on the ground every day, and the right folks as your bench of people that come in and attend ship when you need them too. Steffen Horst: By the way, congratulations to meeting the milestone. Steffen Horst: Where you are at the moment, you are six years into HERO Marketing and at this point, as you said, you have a bench of people that you’ve used before, you know you can call them and they will deliver. Look back six years, so when you started, how did you approach building the team then and what challenges did you have? The two of you founded the company, you got your first client, probably back then 2012, the whole dispersed work force model wasn’t that hot, so what did you do back then, to deliver great results to your clients? Richard Bumgarner: Well, going back in the time machine, it was a crazy beginning. I think we just worked our butts off for about probably a half a year. Our first client engaged us, and after a little business travel, we came back with three dozen projects. Having done this for a number of years, Lyn and I went into swat mode and quickly assembled the team that we needed. Making some t-hires down at the gate. I think a lot of it goes back to really trusting each other in your strengths, and knowing how to make up for areas that you might be lacking in. In terms of your talents and personality type. Lyn Rundell: I think part of it was, it was really the two of us in head down mode, and I was living out of state and working at the clients office every day. Then going back to my hotel and working with Richard in the evening, so that we could pull this stuff together. Originally, we were relying on some freelance help, and we stumbled a little bit, finding the right people. The challenge was, we knew a really great account lead, who actually ended up becoming our first hirer, and he’s still with us, our very first employee. Shout out to Alex Van Wagner, but we were reluctant to get him on board, because we didn’t want him to quit a job, where he had a salary and benefits, because we still needed to prove that we could do this, and we were so early in our existence. Eventually, we got past that, I think the fear we both had, that we were going to convince this guy to quit a job, and this isn’t going to be real, and we bought him on board, and it’s been, no looking back since then. Again, I think you … we bootstrapped HERO, 100% me and Richard, and I think you have a very different perspective, when you don’t have money in the bank, except your own savings that is making this thing happen. So, it was a lot of us, really working, and head down, and making it happen, but one or two really great hirers can make a big difference. We were lucky to find, early on, a good graphic designer that came on board, and was with us for a few years, a couple of great account people and it just worked and again, there’s no, I think secret sauce, other than you’ve just got to work hard, and believe in yourself, that you can make it, and it will become a real business, and you’ll be able to make salary, and pay taxes, and do all of that stuff. I will say, Steffen, you mentioned that the dispersed work force wasn’t such a thing in 2012, but we didn’t get our first office for well over a year. We trusted that we were bringing on the right people and we worked together, virtually for about the first year, a little bit over, maybe before we got our first office, and that helped us because there wasn’t that pressure, of the operational costs that go along with having an office. Steffen Horst: So, keeping the overhead very low, at the end of the day? Lyn Rundell: Yes. Investing more in people, than in operational overhead, absolutely. Yeah. Steffen Horst: Did your first hire come from your network? From people that you worked with before? Or did you have to go out cold, into the market and see who responded to the job application? Richard Bumgarner: Our philosophy has always been to hire someone you know. Someone who’s proven, so we reached out to our past co-workers, that was the best solution. I do think, even when we tried to trust references, what someone else had to say, you just never know, and some of those experiences didn’t work out, so front line experience with co-workers, or past clients has been our answer. Lyn Rundell: And then we’ll say, Alex, who was our very first employee, was somebody that Richard had worked with directly, at a previous agency. He, early on, raised his hand and said, “I’d love to be part of what you guys are doing.” Which is fantastic, again, the self-directed, entrepreneurial kind of people, we were a little bit more reluctant, because he had a job and he had a salary and he had benefits, so it took us a little while, of trying freelance people, that were from our network, but were 100% just doing account services kind of stuff, to realize we’ve got to move on this guy. We brought him in, and thankfully for us, certainly he was perfect and was willing to jump in, just like he was part of the team and put his head down and work along with us. He’s now our senior most client strategist and has been with us six and a half years. It’s been fantastic and he’s contributed hugely to our growth, and to our team and we try to recognize that and make it clear to him, that we appreciate that. We had an, “All about Alex Day,” on our fifth anniversary, and we all went out and had a great time and celebrated Alex, because he’s been truly a key member of the team. But again, I think sometimes, you stumble onto somebody, that you work with or they may self-identify and just say, “I want to be part of what you guys are doing,” and if they’re not afraid of quitting a job that has all those guarantees and come into something that’s in startup mode, that’s a sign, that you’ve probably got the right person. Steffen Horst: We talked a lot about dispersed work force. From your perspective, how is that going to develop in 5-10 years? Are we going to see more from your perspectives, or more people actually working remote companies, going towards having fewer people in the office and more people outside of the state, outside of the city where they are placed? Or do you feel there is going to be a correction to this movement? Lyn Rundell: I don’t know that I think it would be a correction, I think the future, and I think every human, and certainly Americans, in a very capitalist fast paced society, I think are definitions of what work has to be, it’s changing quickly. I think it’s going to be harder and harder for organizations to not, somehow mend, to the will of this workforce, that doesn’t want to be tied to a desk every day. I don’t think, some of the larger, maybe slower moving organizations, are going to have a harder time with that. That’s a big sea change for them, and you see some people correcting against it, and saying, “Nope,” as famously as Yahoo did a couple of years ago, everybody’s got to be in an office. We had a client that we worked with, for a couple of years, that they were based in the South East Bay, but they recognized, that to get really great marketing and advertising talent, having a San Francisco office would be advantageous, so they did. They had marketing and advertising in San Francisco, and then they had a leadership change, and he said, “I want everybody in the same building. I think we work better when we’re together.” So, in that case, it wasn’t even that they were working from home and necessarily dispersed workplace, they were just in two different locations, that were an hour BART ride away from each other. I think it will be interesting the next few years and I think different sized companies, and different types of companies, will respond differently. There’s obviously some industries, where you have to go in to your office, and you have to be there, but I do think, we will start seeing more flexible schedules and maybe job sharing and other things, to drive higher employee satisfaction. I don’t think, this is an agency only issue. The challenge that agencies have, are where are the client services industry? So if I have East Coast clients, then they want people on an East Coast schedule, I need East Coast people, or I’ve got teams that are getting up at five in the morning and vice versa. So, in some ways, it’s easier for us to have employees out of the area, in other ways, it’s not so much, because right now, we happen to have all West Coast clients, so an East Coast candidate, may not love the idea of working on a West Coast schedule. If we didn’t drive our business with client work, that might be slightly different. I’m a first believer, that we’re going to continue to get the very best people, by offering more flexibility in what the definition of work looks like, and so we’re committed to it and we’ll see if my predictions come true. Richard, I don’t know if you feel any differently? 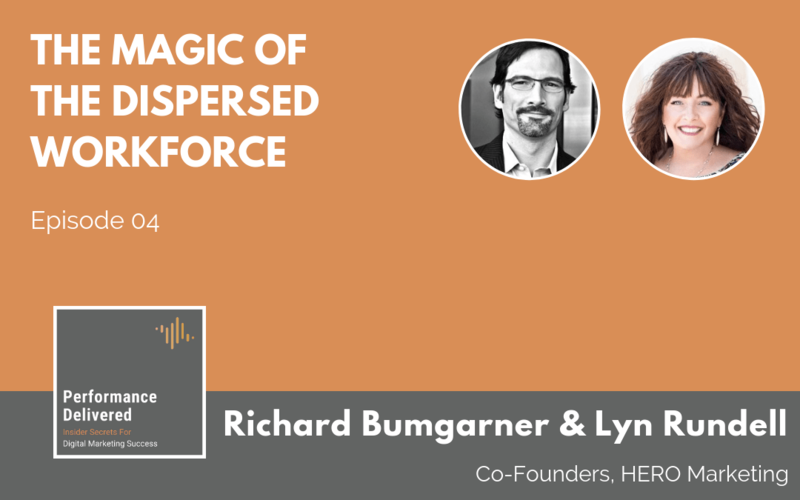 Steffen Horst: Lyn and Richard, thank you so much for your time and talking to me about your thoughts on right sizing a business, getting the right talent in-house versus distributed work force. If companies are interested in HERO Marketing and are looking for an integrated marketing and advertising agency. How can they get in touch with you? Richard Bumgarner: Oh please, just go to our website heromarketing.com, click the contact page and shoot us an email. Steffen Horst: Well, that’s very easy. We’re also are going to put this in the description of the podcast, just in case. Thanks everyone for listening, if you like the performance of our podcast, please subscribe to us and leave us a review on iTunes or your favorite podcast application. If you want to find out more about Symphonic Digital, you can find us at symphonicdigital.com or follow us on Twitter @SymphonicHQ. Thanks again and see you next time.